The Ameda Breast Pump Valves 2ct. 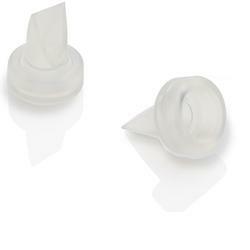 Amedas Breast Pump Valves are replacement parts for Ameda breast pumps. The replacement valve fits onto pump body and extends down into bottle. It is not advisable to insert any object into the valve opening to clean it.